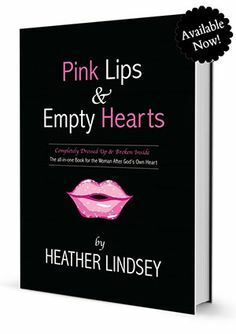 Heather Lindsey: Easy Fun Health Tips! Sooo, if you know me-- I'm a little stalker when it comes to health. I LOVE eating healthy!! I wasn't always this way though. I grew up a sorta-vegetarian because my mother was but my father was a meat eater so I had meat every now and then. I'm naturally pretty slim and I ran track and cross country my whole life.. then I left Michigan and moved to New York. New York City has the best food! So I added about 15 pounds within the first couple years. 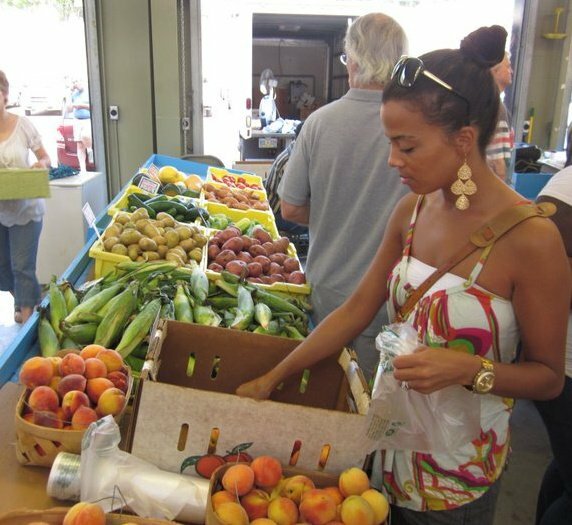 In 2005, I decided to go an entire month with no breads, sugars, white foods, soda, fast food, ONLY water, no fried foods & no dairy. I lost about 15 pounds! I was shocked! Not only that-- my taste buds changed. I hated fast food or anything unhealthy. 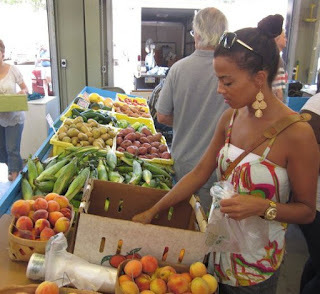 My journey began towards eating better and being more conscious about what I ate. Mind you, if you want to eat healthy-- and you start cutting food out of your diet- your BODY will crave it. It will get mad at you. Seriously. Our bodies are so spoiled sometimes. You pretty much have to tell your body to shut up & do what you have to do. I wanted to share the tips that I've learned to push you towards eating better. It's GREAT to have a super cool relationship with Jesus-- that's our priority. But within that, He will start convicting & showing you what foods you shouldn't eat. FOOD is linked to so many diseases and aging QUICKLY. God of course is our Healer, but stop stuffing your face with butter and sugar for 30 years and then look up and ask Him "why me, Lord" at 50 and wonder why you're sick with clogged arteries. There's things that I'm AVOIDING in the future due to my healthy eating habits and I feel better, have more energy, I age slower, I am happier AND I get to spread the love to my hubby and one-day children. I've introduced my hubby to vitamins, a ton of different alternatives to food. He's a southern man so he's used to fried everything! I won't have that in my household! :) ".. with LONG life does God satisfy us and show us His salvation" - Psalms 91:16. WE have a part to play. YOU are responsible for what you eat. Period. Also, I'm not a nutritionist. That's not what God called me to do-- but I've taken YEARS and studied this stuff. I don't know it all--but I know what works for me. I encourage you to do the same! 1. I LOVEEEEEEE my green smoothie! There's a ton of "green smoothie" books and menus out there. I swear by the one that I experimented & put together. Gives me a ton of energy. I also swear by Kimberly Synders' "Beauty Detox Solution" book. It's filled with knowledge on eating better. I don't agree with her lack of relationship with Christ-- but I do agree with her points about eating healthy--she knows her stuff. 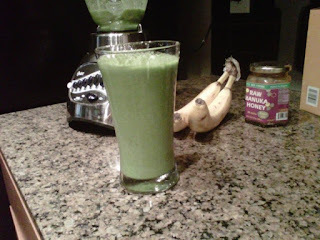 I blogged about how to make my green smoothie here. I drink it every morning and it gives me a ton of energy! So YES, swamp this for your daily coffee. :) Google.. "why is coffee so horrible for me"--and you'll see why! 2. You have got to take your vitamins. I also blogged about them here-- they are my favorites! 3. Skip out on the table salt! It's horrible for you! Salt makes your body hold on to water. If you eat too much salt, the extra water stored in your body raises your blood pressure. So, the more salt you eat, the higher your blood pressure. The higher your blood pressure, the greater the strain on your heart, arteries, kidneys and brain. This can lead to heart attacks, strokes, dementia and kidney disease. So drop your Lawry's salt and pick up Himalayan Salt or Celtic Salt. They are my favs! I found it at Fresh Market & Whole Foods! 4. NO MORE FAST FOOD! Fast food is very tempting to people because of its convenience. It’s so easy to swing through the drive thru on your way home from work, starving, and order a super size extra value meal for yourself, spouse, and kids. The food is fairly cheap and you usually won’t spend more than five minutes in line. But guess what..fast food companies are profiting off of clogging your arteries resulting in heart disease!! The food lacks in nutrition to the point where your body cannot even identify with it and it's so packed with the high sugar & fat content. Another problem with the foods you are served at fast food restaurants is that these foods are not nutritious. The foods that you are served at fast food restaurants are high in fat and high in sugar. So every time you go through the fast food line, remember that you're basically poisoning your body. There are even some studies that have shown fast food may be addictive. The high levels of salt and sugar content found in most fast food items cause the brain to seek them out. It's packed with hormones (thus, why our kids our developing at 9) and it slows down brain function. So RUN from fast food. Pinky Promise. 5. Skip the soy sauce-- pick up Braggs Liquid Amino Acid! Its great to season fish, a salad, rice or anything that you want to taste "salty." Amino acids are important for your health! Your body requires them for proper functioning! There are 20 standard amino acids that are required by our body - 12 of these are non-essential and 8 are essential. I'm not going to get super technical ( I really do love this stuff & I don't want to bore you) but you can find amino acids in meat, poultry, eggs, dairy products, and some plants, or through liquid amino acid supplements. I don't eat meat & don't recommend it as it's hard for your body to digest & ages you, but-- do what you do! :)) The Liquid Amino Acid not only tastes yummy on my baked veggies, but it boosts my energy & attention, builds protein inside my body and lowers blood pressure! 6. RUN from soda. RUN! They are packed with SUGAR (even the diet ones) and they raise your blood sugar levels to dangerous highs when you drink it! Plus, if you're trying to shed weight in that belly area.. the blood sugar levels has a side effect that causes your body to store the excess sugar as fat..in cells located in your belly. So stop doing 50 abs everyday if you're going to keep drinking soda! 7. Have a sweet tooth? My favorites are juicing an apple, pear, carrots and celery! It takes care of my sweet tooth right away or I'll eat a sweet apple, like a Fuji apple! I love the Juice man juicer at Target! It's like $70 and works like a dream. Stop running for the chocolate folks. You will CRAVE what you give your body. 8. Skip the farm raised salmon and opt for the wild salmon! Farm raised salmon has a ton of pesticides and many more toxins (PCBs, dioxin, etc.) than wild salmon. The study recommends that farm raised salmon should be eaten once every two months as they pose cancer risks to the human beings. Yeah, it cost a little bit more, but cancer treatments costs alot more. Jus sayin'. 9. Don't MISCOMBINE foods! Wonder why you're SOO sleepy after you eat that huge meal at your mama's house on Sunday afternoon? This is the issue-- your body only has so many precious enzymes that are used to help break down your food and get the most energy & nutrition. Different enzymes are used to digest different types of food. They interfere with each other if they're released at the same time. So, what happens? The undigested food basically ferments in your body.. causing weight gain, constipation, gas, heartburn, bloating and other symptoms! So how do you know if you're miscombining? Don't eat a starch with a animal protein. Yes, so no mashed potatoes and steak anymore. Eat your steak with a salad on some veggies. If you're going to eat spaghetti, don't eat it with meat.. eat it with veggies. It's TAKING your body too long to digest both. Don't eat the bread that comes to the table at a restaurant if you are planning on eating meat for your meal. A book I love on Miscombining foods: Proper Food Combining Works: A Living Testimony by Lee DuBelle. 10. Don't drink water during your meals. It waters down those enzymes we talked about above and it makes your body do extra work to digest your food. Drink water 30 minutes before your meal and 20 minutes after. If you want to help wash it down.. sip, dont' gulp water. And NO SODA OR grocery store bought juices. They are packed with sugars. 11. Drink warm lemon water every morning. This aids in digestion and helps detox your body! There's SO many benefits from drinking warm (not hot) lemon water first thing in the morning. I encourage you to do your research. 12. Eat a salad before a meal & don't pour dressing all over it. Squeeze some fresh lemon and a little bit of your Celtic salt. It does WONDERS in seasoning it. Eating a salad FILLS you up before your actual meal and you won't eat as much. I also love raw sauerkraut! Get it from your local food store or co-op! Our natural food store makes it themselves! Raw Sauerkraut is a wonderful proboitic and it builds your immune system! 13. CHEW SLOWLY. If you stuff your face, you'll eat more. Try to chew at least 20 times before swallowing-- you'll get fuller quicker. 14. WORK OUT. Granted, you can lose crazy weight eating healthy but I highly recommend finding a workout program that works for YOU. Whether it be P90x, Insanity, Zumba, running, or whatever the case! Find someone who will work out with you and keep each other accountable! 15. No more emotional eating. Having a rough day & you grab some Doritos?! Instead, don't even BUY certain foods anymore. If they aren't in the house-- you won't crave them! I refuse to buy ice cream and sweets. I keep nuts, avocado and popcorn around to snack on! 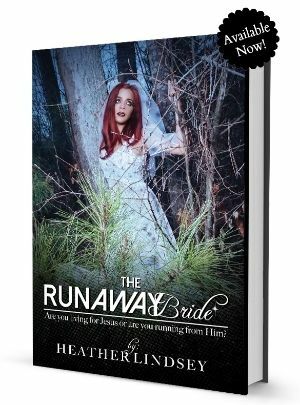 GET to the root of those emotions and stop running to food every time you have a moment-- run to Christ instead. 16. (Bonus number)-- NO CANNED ANYTHING. Especially meat! That animal was killed about a year ago, then processed and put in a can. Let's all be clear. Buy some meat from Whole foods-- put it in the fridge for a week and don’t eat it. It stinks right? Now, imagine ALL of the non-nutritional processed ingredients they are putting in the can to keep your meat so you can eat it. Meat is supposed to be refrigerated. RUN from canned anything and be sure to shop in the outside aisles-- not frozen sections or middle aisles! This also goes for frozen dinners. RUN from them. YOU must make time for your health & eating better. Plan ahead. Do what you have to do. So these are just some fun tips to get started. Don't make the excuse that you don't know how to cook when there's a TON of recipes online. You won't learn to cook healthy until you START. YOU have to start somewhere! Don't let another year go by eating the same! Change it now! Stop running to the tums or the heartburn medicine & get to the root of it! God will help you & grace you once you finally decide to stop reaching for the soda and pizza. STOP praying the weight away & start doing something about it. Let's all get together & do better. Starting.... now! So...you totally just ruined this Butterfinger for me (that I was already feeling guilty about anyway!) lol. Ok, so I made my first comment before I even finished reading...this is a REALLY good post! I had been doing really good about eating healthier, but have been traveling and helping my BFF plan her wedding so I didn't have time to make my smoothies, and even missed my last two Zumba classes (yes...these are excuses, but I believe they are fairly valid lol). Thank you for the encouragemnt for me to get back out there. My husband told me while we were still engaged that he wants us to be as healthy as we can so we can live long lives serving God and loving one another for as long as He'll let us. 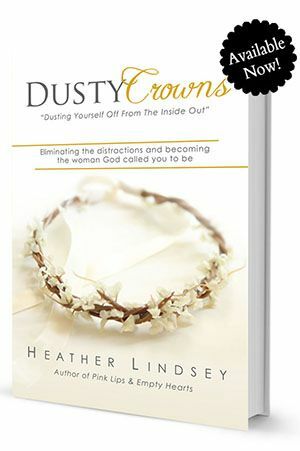 Great read Heather! I totally agree with everything you wrote. 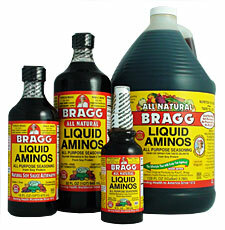 I just need to work on my food combining and my sweet tooth...lol I love Braggs Liquid Aminos! Another good thing is nutritional yeast. It is great to put on popcorn to give it a cheesy taste and plus its packed with vitamins and minerals. Yum!!!! Great job Heather!!! I'm going to get some Amino Acid asap! What a great post. I must say number 16 truly grossed me out. Yuck! I'm totally guilty as charged in regards to number 7. As I'm reading this I'm eating leftover chocolate cake from my birthday party. Shame shame. I've truly been convicted of this. I eat so unhealthy and I also feel God nudging me to hang up my bad habits. Currently I'm trying to kick my caffeine and fast food habit. I know it's so bad for us, but like you said, it's so convenient. Thanks so much for sharing this! I've been taking a step to be healthier this year. First thing I did was to stop drinking sweet drinks and I have limited myself to only water. 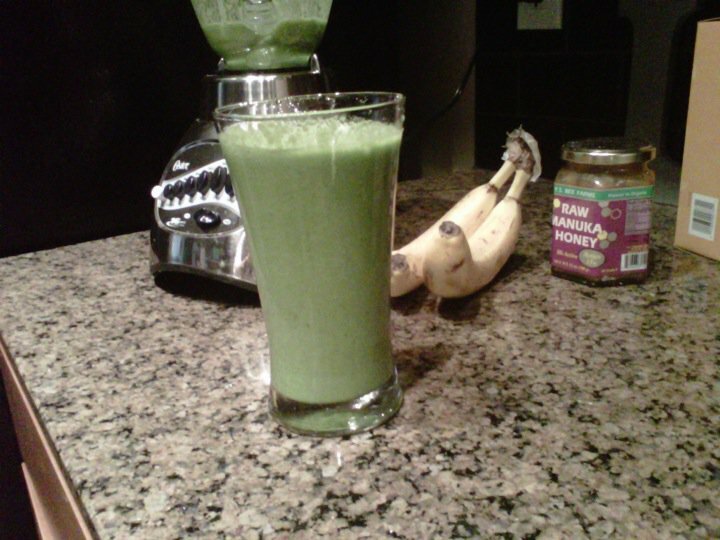 I plan to start introducing some drinks back into my diet and I can't wait to try the green smoothie. I never thought about mis-combining foods so I'm glad you listed that book I need to check it out! Whoa! So encouraging. Just about to head to Trader Joes and you've influenced my shopping. Thanks for the tips and taking time to do accurate research. It is highly appreciated! Would you please be willing to post an example of a days worth of meals? Or a few days? For example, do you drink your lemon water first and immediately follow with your smoothie, or do you wait awhile? Just basically everything you put in your body for a day or two :) You are absolutely beautiful, in obvious health and glowing, and I would love to know :) Thank you, Heather!!! 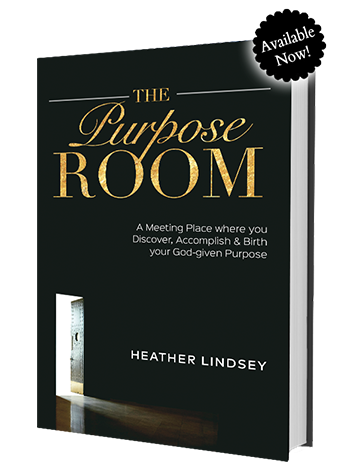 I love this post heather! Thanks for the tips. I knew a lot of them because I work in healthcare but I haven't put them into practice. I know shame on me, I know better lol! I really need to eat better i thought this was a really good blog post. This is great information. I'm going to start my green smoothie in the morning:-) Do you recommend the green smoothies in the bottle? Have you tried them? Where can I find wild salmon? Hey! At Whole Foods, Fresh Market or Trader Joes! Thanks Heather. I am looking for a juicer too. This post is right on time. Soo um , I guess its time to do a turn around. Lol my husband wont let me eat fast.food. Reading this makes me wanna challenge myself. Soo I will be starting a new healthy journey , thank you!! Ok I love how I did the same fast as you before and mybody loved ittttt. Unfortunately I went back and my body took forever to digest the ol stuff. I swear m body is telling me 2 go back so I will but can u further establish the miscombining of foods please. Never heard of it. It just sounds pretty good!! How is honey as a sweetener? It's great! I use it all the time! :) I put honey in my veggie meals ALL the time! So I love the fact that you live a healthy life and watch the foods that you put into your body. It definitely shows; your skin looks flawless! Do you by any chance use any organic facial care products as well? Are there any products that you would recommend? Thanks in advance for any advice you have! Ugh...you just made my stomach hurt w/#16. I only eat canned tuna but now...I won't even eat that. You mentioned that you don't eat meat, so what are your meat alternatives for protein. I just want some ideas, so i can get enough of protein. This is a great blog and what you're doing is great. God bless! Great post, you really have some great suggestions! I have a question, I know you said to drop tv dinners, but how do you feel about Healthy Choice tv dinners? Are those out of the questions too? Girl, RUN from Tv dinners, period. The food is crazy processed! Focus on making foods from scratch, even if you have to plan wayyy ahead! Wow Heather! Can we say CONVICTION! I do little things here and there, which is why I stay on a weight gain/loss rollercoaster. Thanks for sharing your tips, some I have never even heard of before. Hey Heather, I want to change my eating habits but since i'm underage, I cannot avoid buying unhealthy foods due to my siblings. So is there some advice for people like me? I work out and everything but I want to eat more greens than meat. And are there trustworthy websites about greens recipes? 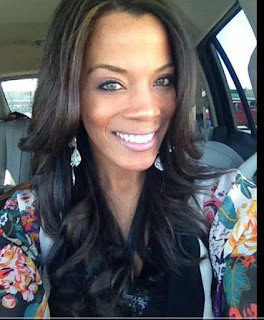 Love your blog by the way, very interesting information. Chew slowly? Now, that sounds like an effective tip! Kudos to you for sharing these tips! Keep being an inspiration.